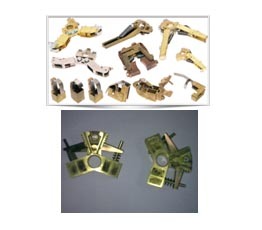 Ravindra electric has been designing high quality brush holders for over 50 years. Our grounding breaking research on the effects of spring pressure relating to brush performance, led to superior brush holder designs using "constant force springs." constant force springs can dramatically improve brush life, resulting in lower maintenance costs. 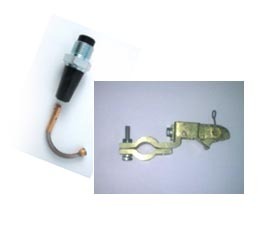 Ravindra electric company is unique in offering the carbon brush and holder design in the same facility. This ensures that both the brush and brush holder work collectively to provide you with the best performance, savings and brush life possible. 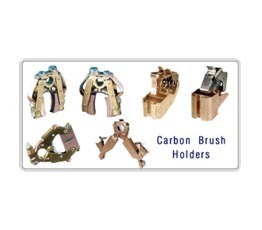 We can design & supply any type of carbon brush holder as per your drawing/sample/ specification within a short time. 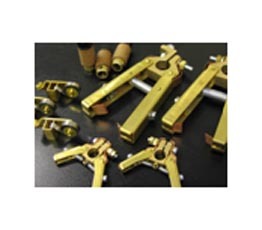 We offer our quality brush holders in various materials such as brass, gun metal, phosphor bronze, sheet metal etc. As suggested by the customers. 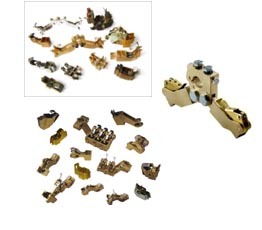 We carry a stock for standard brush holder of different pocket sizes. 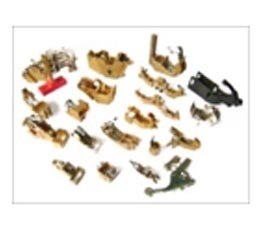 We can also provide very small quantity of brush holders as per your requirement. Ease of removing brush for replacement/service.